Don't miss the latest happenings out of Echo Mountain, including new lifts, terrain expansions, weather, photo galleries, infographics and current events skiers and mountain travelers should know about. Stay up-to-date on Echo Mountain news and events by clicking on articles from the list below or page through to see coverage from the entire ski season. The 5th and 6th Grade Passport program provides free/discounted skiing and riding at 22 Colorado ski resorts. The dream of owning your own ski area could become a reality with the 226-acre Echo Mountain up for sale. Advertorial: Resorts across Colorado receive plentiful snow with more in the forecast. While most of the country will remain dry this weekend, parts of Colorado should see significant snowfall. They're called the Gems of Colorado, and these nine smaller resorts can pack a punch. Echo virtually triples the value of their season pass this season with added benefits. January is Learn to Ski and Snowboard month in Colorado. 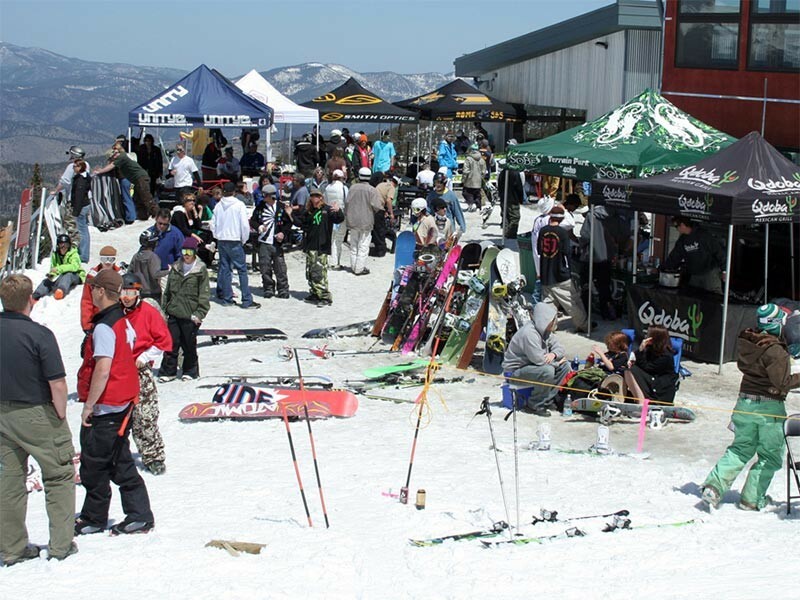 Take part in special learn to ski/ride packages at mountains throughout the state. Our Gem resorts are some of the best ski areas to make your first turns. An Echo Team complete with rider sponsorship and video coverage capitalizes the commitment Echo provides to the park-and-pipe generation. Before Echo Mountain was opened, Ski Squaw Pass sat at the same location serving as the closest ski area. Get a card for $10 and receive special discounts for skiing and riding the Colorado "Gems." Tired of that cafeteria lunch on the mountain? Here are some places across North America's slopes where lunchtime can actually be an enjoyable break. Flying not an option? How you can get to the slopes in a hurry. SOS Outreach finds ways to get kids on the slopes. Echo Mountain is in the Denver Foothills and an easy place to get a quick ski fix. Nature and snowmaking machines give the one-two punch to Colorado resorts. Get Snow Reports, Powder Alerts & Powder Forecasts from Echo Mountain straight to your inbox!